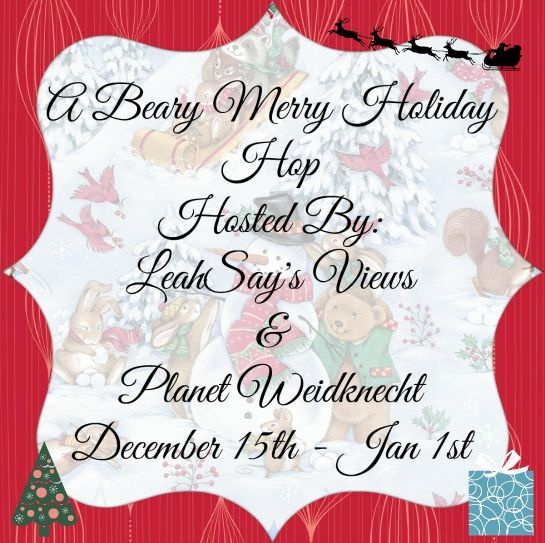 Welcome to the Beary Merry Holiday Hop! 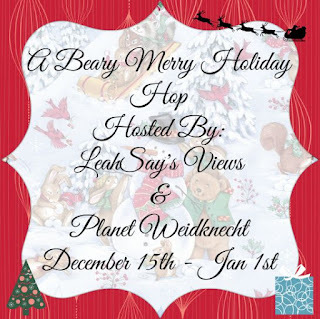 Hosted by LeahSay's Views and Planet Weidknecht! 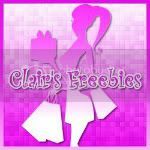 Be sure to check out the list under the Rafflecopter because you'll find about 40+ more bloggers who have a prize for you to win! Can you believe that we are 10 days out from Christmas? How much shopping do you have left to do? I should be finishing mine up later today and seem to think stocking stuffers are sometimes the hardest for me. My daughter isn't in to all the candy (which is good) but finding things to go inside of the stocking is sometimes hard! Hopefully today it'll just come to me what to do! 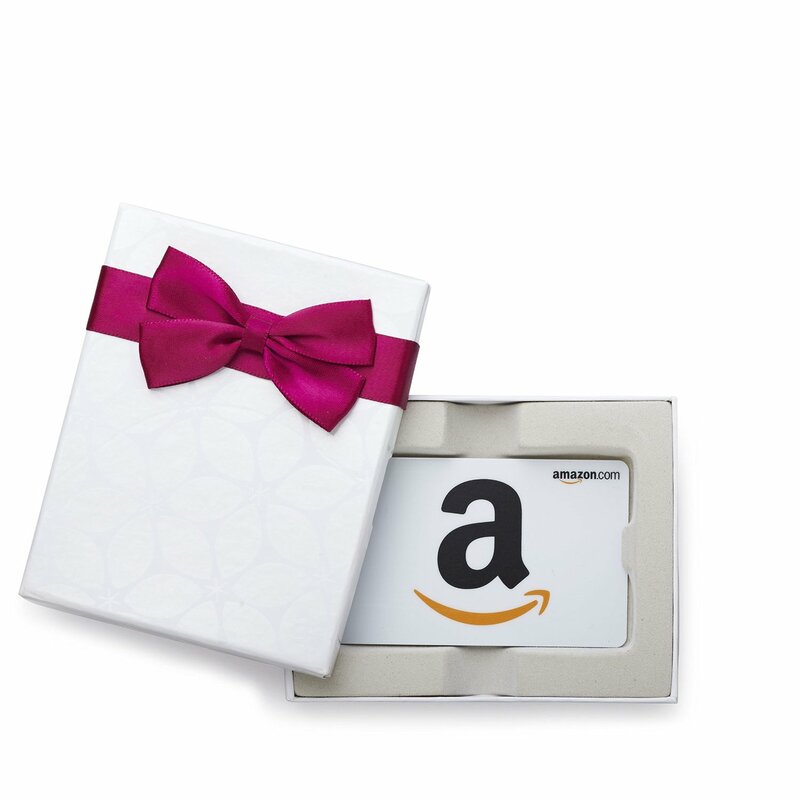 For this hop we are going to be giving one lucky person a $25 Amazon Gift Card! Amazon is my favorite place to shop because everything comes right to my door! 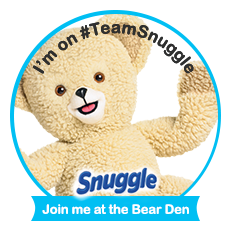 To enter for your chance to win simply use the Rafflecopter below. Giveaway begins now and ends on New Years Day, 2016 at 11:59 pm eastern time. Good Luck!! I think I am almost done with my Christmas shopping. I still have stocking stuffers to purchase. I have all my shopping done. Now I have to wrap it all. I am done with shopping. Still need to wrap a few items that I picked up last weekend. I am done shopping and gifts are all wrapped and under the tree! No plans for the New Year yet. Thank you for the chance to win! I still have a couple of presents to buy. I don't know why I always wait until the last minute! i have little to no money,so any gift's i will give are bought along the year in good price occasion!!! I'm done shopping for my family! Now I just have to get it all wrapped! I have yet to buy anything *gasp* lol so I still have shopping to do. I make most of my gift every year and I only have two things left to finish! I'm almost done! I am not even close to done. We haven't even put our tree up yet. I just started this weekend. I placed a big order on Amazon and I am about half done. I need to buy a gift card for my mom and a gift for a good friend and I will be all finished. Thank you. We are mostly done with the shopping. Only the Christmas Dinner to do now. All done with shopping. As far as New Year's goes I will be going to a friend very near by so I do not have to drive. I am mostly done with my Christmas shopping, I have one more person to buy for and then I just need to wrap the presents. I just have to get a present for my husband and I'll be finished. I am done with shopping. I think I'm about half way through with my shopping. Procrastinating. I got all my shopping done over a week ago. About 5 things left to wrap! i am done shopping for christmas! I bought all the presents I need for this year. My shopping is almost done. I just need to get a couple more presents. I haven't started my Christmas shopping! I don't start shopping until I hear hooves on my rooftop. I did all my shopping already, I'm not a fan of long lines and crowds, no plans for New Years Eve though. I am almost done my Christmas shopping. I just have to buy some pants for husband and find something for my dad. I have to finish up for a few people, but I'm mostly done! I can hardly believe it but everything is done! I have a few more gifts to buy, almost done! I am a last minute shopper so I have only gotten about 1/4 of my shopping done so far. I'm probably about half way done! Hate waiting to the last minute! Ah! I just need something for my hubby! I just need to buy one more present for my kids. My plans for New Years is to work. I am almost half done. I still have to buy for my niece and nephew, and am not sure yet what to get them. I am finished! I do like shopping for other people but it's nice to be finished. I am mostly done. Just a few things here and there and one family that i am having a hard time with this year. I still have to buy this weekend for everything!! Yikes!! I'm almost done! 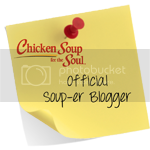 I just have a few loose ends to tie up- small gifts for my kids and a few teacher gifts! I just need to buy something for my wife! Miraculously, I am finished! I am ahead of schedule this year. I only have a few more things to buy. I have no plans for new years. I have to pick up a gift I ordered and also buy stocking stuffers. I only have a few left to buy! I am so not done, I have most of my list left. I have been trying to wait for payday. My new years plans are to sleep. I am all done with my Christmas shopping for this year! Just a couple food items, that's all. We are heading to Nashville for New Year's Eve. My Christmas shopping is all done. No Christmas shopping this year unless you want to count the cost of cataract surgery for my husband. We are all done shopping and looking forward to the holiday and seeing everyone. Not done! Pretty close though!! I'm afraid I still have a few gifts for a few hard to buy for friends, but almost there! We only have a couple of small gifts left to buy...now on to the wrapping. I still have a couple of presents to buy for my kids. Still need to get presents for family -thinking of doing my shopping this coming weekend. I still have a few gifts to buy for the really tough-to-shop-for people on my list. I only shop for a few people, so things don't get too crazy! I am sending out a couple of gifts tomorrow, and still have a few left to buy. I am mostly done with Christmas shopping, with the exception of my office coworkers. As for the crafting that needs to get done, I have to finish my grandma's scrapbook. I'm all done with my Christmas shopping. I prefer to get it done early that way I don't have to stress :) It was done in early November! I just need to pick up a few little things for the grandkids and some stocking stuffers and then I'm DONE!! We have four people left to buy for and then we're done. I'm completely done and it's all wrapped and ready to go! Most of it is done I think. I have all my shopping done. I finished my Christmas shopping just need to wrap! I am totally done with Christmas shopping! I'm finishing the wrapping tonight. I still have my dad and my boyfriends daughter to buy for. I am so ready to be done! I still nrrd to get gifts for my niece and nephew and then I'll be done. I am finished with all of my Christmas shopping, but there is one thing that has not arrived in the mail yet. I am almost done with shopping. I just need a few more gifts and to figure out my meal plan. I have one more gift certificate that I have to buy tomorrow....then I'm done! I am all ready for Christmas. We don't put a lot of stress into presents, so there is really not much to buy. We spend our money on all coming together and celebrating. A few gifts will be given but the focus is on togetherness. All of my Christmas shopping is done and everything is wrapped. I think I am finally done! Phew! No plans as of yet for New Year's! I bought small gifts for my coworkers, most of which I have already given out. Its just me and my boyfriend, so my year was easy!! I picked up a few stocking stuffers yesterday, and that was my big finish..I'm done! We just need a few more stocking stuffers for 2 people, and the food for Christmas Eve and day and we'll be done! I have about 90% of my shopping done. I am almost all done. My grandkids live far away so I have to finish most things back by the beginning of December to ship. All my Christmas shopping is done. My shopping was done by Thanksgiving. That's my goal every year. I still have a tiny bit of shopping left to do tomorrow & TONS of wrapping to do!!! I am finished with it! I am done with Christmas shopping. I'm all done with my Christmas shopping. I just finished my shopping a couple of hours ago. My Christmas shopping is done. Now I just have to hand out the gifts. Thanks. My Christmas shopping is all done, I finished it almost a month ago. Just finished for Christmas this morning; just in time! No plans for New Years yet. I'll be staying in for New Year's Eve. My 80 lb. tough-guy dog is super afraid of fireworks so it's a tough night for him. Thank-you! I'm done with Christmas shopping. I have to work New Year's Eve and New Year's Day so it will be an early night for me. Oh I dont really have any plans for new years, we usually stay home and watch it on TV! Our plans for new years is relaxing at home together and watching movies! I think our son is hosting a party here for New Years so we will be chaperoning that. My plan for the New Year is to stay home and go to bed early. I will be home on New Years since I have to take care of my Dad. I'll probably get some movies and lots of yummy snacks. just staying home for new years this year! My plan for New Years is to go to a friends house for a party. I'm glad my shopping is done. Now on to planning New Years....having family over! I am thinking about going to church on new years eve followed by a potluck meal with bingo with my neighbor. For New Years, we plan on staying home with our kiddos and ringing in the new year with them. We have to chaperone our daughter's new year eve party. I don't really have any plans for New Years. I'll probably just watch a movie. We'll stay home and have a quiet dinner....watch a movie and share a bowl of popcorn. I don't really have any plans for New Years. I will probably stay home, hang out with my Mom, and we have a tradition of banging pots and pan lids! Yes...even as an adult I do this! haha We have done it since I was a little girl. God bless and Happy New Year everyone! I don't really have plans for New Years but I will probably babysit. I am done with Christmas shopping and I'm into the after Christmas sales! My plans for New years is just to relax at home with my family and have a movie night! Planning on a small party with the kids on New Years eve. Nothing that I need to buy! Just enjoying some time off with family. My husband and I usually babysit our grandkids on New Years Eve. My parents are coming over for dinner on New Years Day for pork and saurkraut! We will just have a quiet New Years eve at home with the kids. I had a fantastic Christmas, and I have no plans for New Year's Eve. Probably at home with my husband, watching TV. I do not have any New Years plans. Just another day for me. All I plan on doing on New Years is staying home and taking it easy. All done Christmas shopping and new years will be low key with a movie and sleepover for the kids! Christmas is over, we are travelling for New Years. I work overnights, so I will be ringing in the new year with my coworkers. We'll be staying home for New Years, maybe the kids will make it to midnight this year. No current plans for New Year's so will probably stay home. On New Year's Eve I'll be volunteering at the Denver Botanic Gardens Blossoms of Light. I'll just be cuddling up in front of the TV with my four dogs and three cats for New Year's Eve. I don't have any New Year's Eve plans but on New Year's Day we're headed off to Disneyland. Staying home with a spread of food and the remote - I'll binge my way into 2016. On New Year's Eve, we'll be celebrating Christmas a bit late with our neighbors. On New Year's Day, we'll be having an appetizer and dessert potluck at a family member's house. Staying home, eating fun snacks and playing games with the kiddos. Plan to smile more, laugh more...thanks!! Christmas is all over with so now we are just waiting for the New Year, no plans though! No plans yet for NYE. NY Plans is to spend it with my parents and hubby and kids! We had a great Christmas and will be spending New Year's eve at home with family. My plans for New Year Eve are to make my husband his favorite dinner. After dinner I plan on curling up with him and our dog and watching the ball drop on TV in Times Square. Our plans may be simple but I can’t think of better way to bring in the New Year! We're planning a fun evening for New Year's Eve. Movies and board games! It's NYE here and I don't usually go out for New Year's. I like to stay in and stay away from the crazy. I plan on doing nothing but watching the ball drop. I will be staying home watching a movie with my kids on NYE. My plans for new years is to hang out with a few friends and my daughter.